There is a lot of sleeping going on around here. Contrary to what this lovely picture of me would have you believe, I am not the one doing it. Nope. It is Charlie. 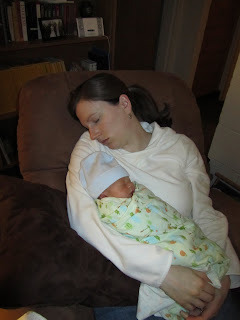 That little boy can sleep ANYWHERE and through ANYTHING (courtesy of all the NICU noises he got used to). The only thing we have found that disturbs his slumber is a diaper change (he hates those more than his bi-weekly blood tests) and excited BYU basketball fans in the living room. 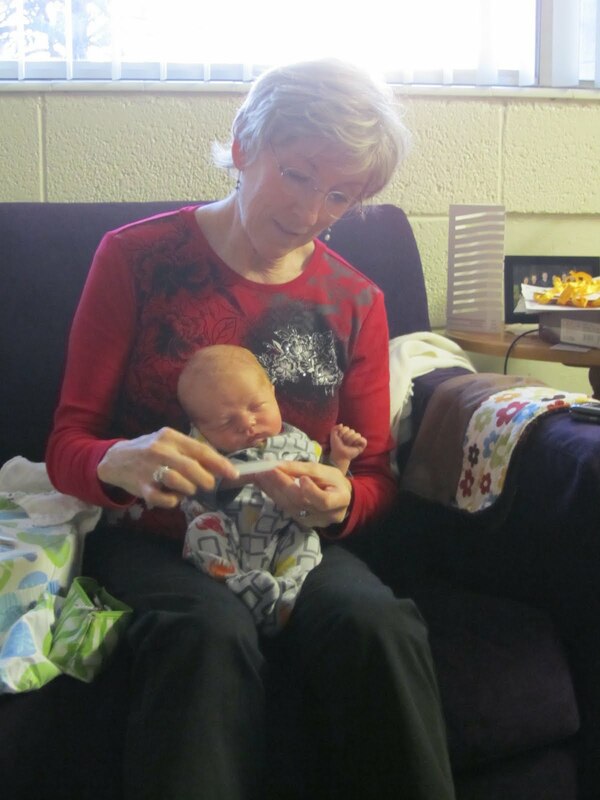 He can even sleep through getting one of Grandma's manicures. 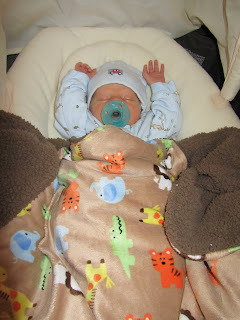 His sleep style is arms up almost always these days. He has decided that swaddling is out. Tummy time often becomes nap time. He is not too particular about where he sleeps or in what position. all this sleeping and growing is hard work, but he sure makes it look good. Yea Charlie! I'm so happy to see these pictures of you and Charlie! He looks adorable. I especially like the one on the right side bar where he's kind of squinting one eye. So cute! Hope you're all doing well! I love all the pictures! Our little one was NEVER one to swaddle, its amazing they come out liking and disliking certain things. He sure does make it look good! He is one handsome little man! I'm glad he's such a good sleeper! Katie, I found your blog through Sarahs and had to comment on your cute little boy! He is ADORABLE! Hope all is going well!